Pulp and Paper Recruiting Expert! Cindy Miller graduated from Arkansas State University with a Masters in Business Administration and Bachelors in Marketing. She started her career in Human Resources, which allowed her to work in both manufacturing plants and corporate environments within the Appliance/Motors, Food and Chemical Industries. Cindy takes her knowledge and passion for manufacturing and works diligently to find a perfect match for both her clients and candidates. She is married and has two children. She has successfully completed searches for Plant Managers, Mill Managers, Operations Managers, Maintenance Managers, Human Resources, Engineers, Six Sigma Black Belts, Sales, Information Systems, Accounting and those hard to find hourly positions (Tissue Machine Tender, E/I Technicians, etc…). 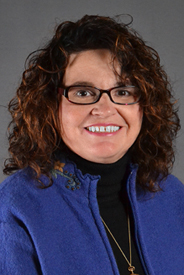 Cindy joined the Austin Allen Company in March of 2009, through a partnership with Atwood Associates. Since joining AAC she has received “Recruiter of the Month Award” several times as well as winning the coveted “Recruiter of the Year” two years in a row!. One of Cindy’s main areas of concentration is in the Pulp & Paper Industry with Tissue, Packaging, Paper, and Hardwood floors.